In March 2010, we saw the opportunity to offer professional consumer contact and client partnership while delivering results, thus formulating Modern Recovery Solutions. Based upon the foundation of developing a personal experience from our management team, we have state-of-the-art systems to manage and keep your accounts secure. We treat each client like they are our only client by creating a trustworthy relationship. With over 20 years proven experience in the collection industry, our staff is highly-trained in communication, telephone conduct, direct knowledge of your business, compliance and empathy. We are true problem solvers offering solutions. At Modern Recovery Solutions, you deal directly with the decision makers. We take pride in a zero complaint policy, stringent guidelines for telephone demeanor, escalated call protocol and ongoing education for understanding our client’s business. Whether healthcare, government, utility or taxes, our staff knows how to discuss specific details of the service received. Modern Recovery Solutions is a local U.S. based organization with a high supervisor-to-worker ratio and extensive compliance and quality control processes. 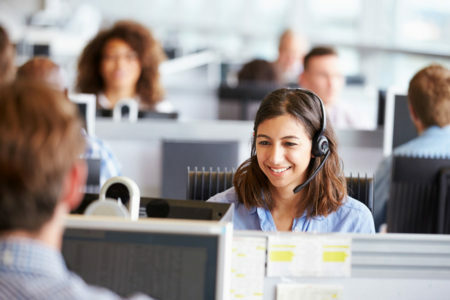 Our staff performance is based on call quality, customer service and results. Our extensive Call Handling Process delivers. Calls are reviewed and graded based on compliance, telephone demeanor, professionalism, customer satisfaction and results. Along with our zero complaint policy, this assures the highest quality of handling of your customers and recovery. Learn more about the Modern Recovery Solutions team and contact us to discuss how we can meet your needs and deliver results.